If you are in the market searching for a durable, all-purpose hunting knife for your hunting adventures, then one knife worth considering is the 119 Special® Knife from Bucks Knives. Equipped with all the features most hunters look for in a hunting knife, the 119 Special Knife can make a great companion for you on your hunting trips or other outdoor activities such as camping, hiking, etc. In order to totally understand all of the benefits that this knife comes with, you should take a look at the Buck Knives 0119 Special Fixed Blade Knife with Leather Sheath review that we have prepared for you below. 1.7.1 Q. Who are the manufacturers of the 0119 Special Knife? 1.7.2 Q. Does the knife have a warranty? 1.7.3 Q. Where is this knife made? 1.7.4 Q. Is this product a folding knife? 1.7.5 Q. What is the blade shape? 1.8 Q. What is the length of the blade? 1.8.1 Q. What is the total length of the knife? 1.8.2 Q. What is the total weight of the 0119 Fixed Blade Knife? 1.8.3 Q. What is the knife’s carry system? 1.8.4 Q. What material is used for the blade? 1.8.5 Q. Will Buck Knives sharpen the 0119 Fixed Blade Knife for me when it becomes dull? 1.8.6 Q. How do I care for the 0119 Fixed Blade Knife? 1.8.7 Q. Away from outdoor activities such as field dressing game, what else can I use the 0119 Fixed Blade for? 1.8.8 Q. What colors can I purchase the Special Fixed Blade Knife in? The blade of the Special Knife is made of 420 HC Steel which the manufacturers allow to harden to the industry standard Rc 58 on the Rockwell C scale in order to ensure that it performs excellently. The 420 HC steel used in making the blade is responsible for its excellent corrosion resistant ability as well as its immense strength. In addition to this, the steel also makes the blade quite easy to be resharpened when it gets dull. Being a clip point knife, the Special Knife has a crescent tip and a very sharp point which makes it excellent for detail work by providing you with good control. The blade is also good for making punctures and cutting in places that are tight. Last but not least, the clip point design, coupled with the blade’s large size, gives the blade a generous cutting edge that makes it very good for slicing. The 119 Special® Knife comes with a genuine leather sheath which houses the knife perfectly and allows you to safely and securely travel with it from one place to another. The sheath is designed in such a manner that if you don’t want to carry it in your bag, you can easily strap it to your belt so that you can get quick access to the knife whenever you need it. It is razor sharp right out of the package. The blade of the knife is very good for making punctures or piercings. It gives you a very substantial amount of cutting edge for slicing. There is a leather sheath that allows you to easily and safely transport the knife. Cutting in tight places is easier with this knife. It is backed up with a lifetime warranty. Despite the point of the blade being very good for detail work, the point is weak. Some find the handle of the knife too light and a little bit inferior. Q. Who are the manufacturers of the 0119 Special Knife? A. The knife is manufactured by Buck Knives – an American company that is renowned for making knives with quality in mind. Q. Does the knife have a warranty? A. Yes it comes with a warranty! 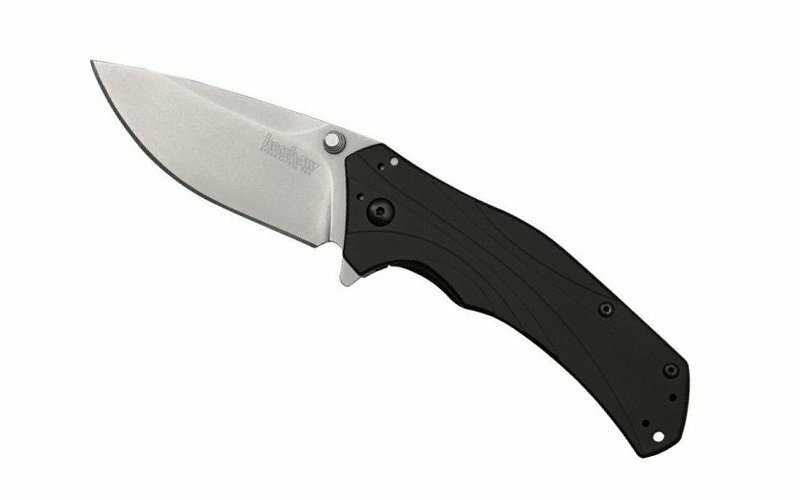 When you purchase this product, you will enjoy Buck Knives’ famous Forever Lifetime Warranty, which makes it obligatory for the company to replace or repair your knife whenever it develops a manufacturing-related problem. A. It is manufactured in the United States. Q. Is this product a folding knife? A. No it isn’t. As the name implies, the 0119 Special Fixed Blade Knife, is purely a fixed blade knife. Q. What is the blade shape? A. The knife has a clip point blade shape. Q. What is the length of the blade? A. The length of the blade is 6 inches (15.2 cm). Q. What is the total length of the knife? A. The knife’s overall length is 10-1/2 inches. Q. What is the total weight of the 0119 Fixed Blade Knife? A. It weighs approximately 7.5 oz. (213.5 g). Q. What is the knife’s carry system? A. The 0119 Fixed Blade’s carry system is a black leather sheath. Q. What material is used for the blade? A. The knife’s blade is made of 420HC stainless steel. Q. Will Buck Knives sharpen the 0119 Fixed Blade Knife for me when it becomes dull? A. Yes! Buck Knives will sharpen your dull or blunt blade for you. But it is important to note that this sharpening service isn’t free. Q. How do I care for the 0119 Fixed Blade Knife? Try to keep the knife dry all the time. Oftentimes people tend to dry only the blade of the knife thinking that the blade is the only important part of the knife that needs to be kept dry, but this isn’t so. The entire knife should be kept try, including the handle. You should make sure that you clean the knife on a regular basis. In addition to cleaning, you should also regularly oil the knife. When you oil or lubricate your knife on a regular basis, this protects the knife’s blade from developing surface oxidation or getting rusty. It is imperative that you store the 0119 Fixed Blade Knife in a dry place. You should never attempt to repair the knife yourself in the event that it develops a problem. Following the above-mentioned tips can help make the 0119 Fixed Blade Knife last longer and perform at its peak all the time. Q. Away from outdoor activities such as field dressing game, what else can I use the 0119 Fixed Blade for? A. Besides being excellent for numerous outdoor cutting and slicing tasks, this knife is also good for several everyday cutting tasks. Q. What colors can I purchase the Special Fixed Blade Knife in? A. You can get this knife in either black/silver or wood/brass. If you are an outdoorsman or woman searching for a great all-purpose fixed blade knife that is also durable enough to withstand a thorough beating in the field, then it is very likely that the Buck Knives 0119 Special Fixed Blade Knife may just fit the bill. Plus Buck Knives backs up the knife with a lifetime warranty.